There are days where you just don’t feel like going to the store and instead look around in your cupboards and veggie drawer for inspiration. The ingredients for this dish are fairly common and even if you don’t regularly use quinoa I would recommend keeping it on hand. It’s an ancient grain that is high in protein, phyto nutrients and healthy fats as well as having anti-inflammatory effects. 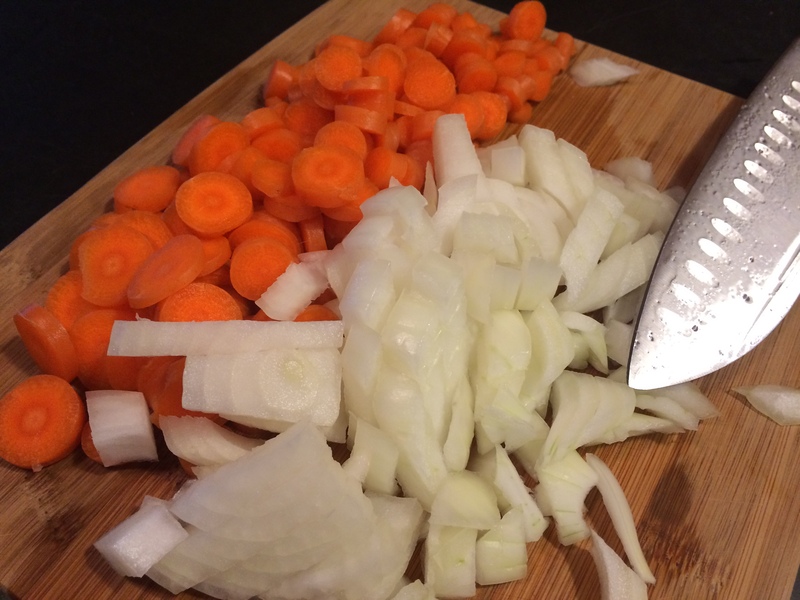 This recipe is simple, healthy and hearty and is also versatile in the veggies you can use. If you don’t have carrots, you could use celery or zucchini, even sweet potatoes. It’s more about the method and the quinoa. I set the quinoa to cook in vegetable broth. The box said to cook it for 12 minutes in boiling water but I find it takes at least 25 minutes to cook quinoa. I used a red, black and white sprouted quinoa. 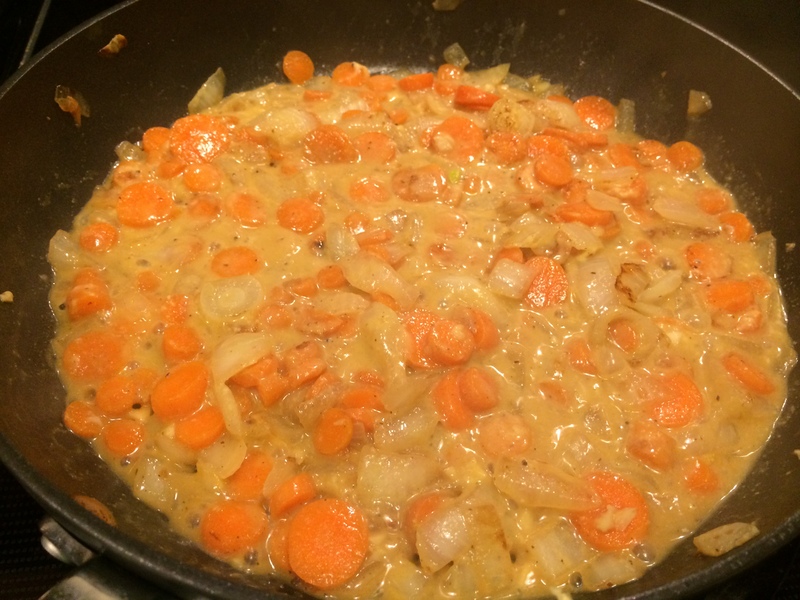 Next I sautéed the carrots, onions and garlic. 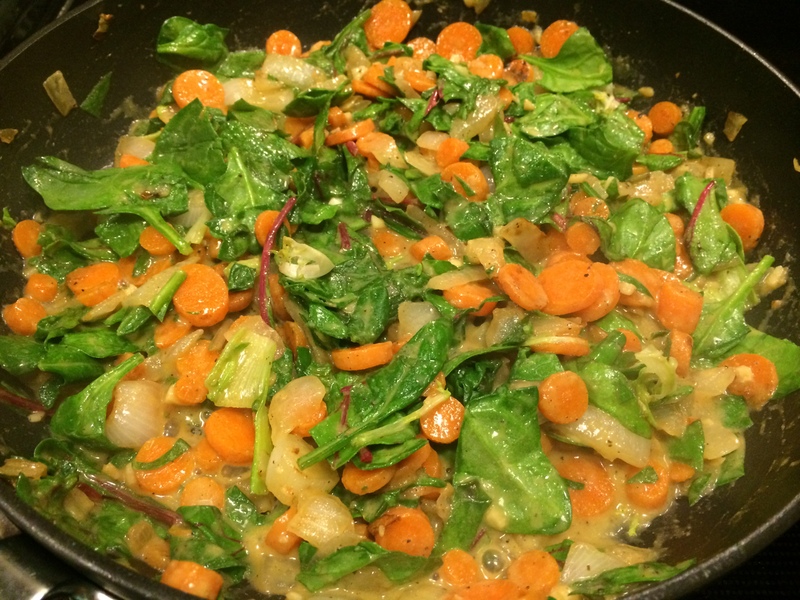 Next I added chopped mixed greens but you can use spinach or whatever mix you prefer. 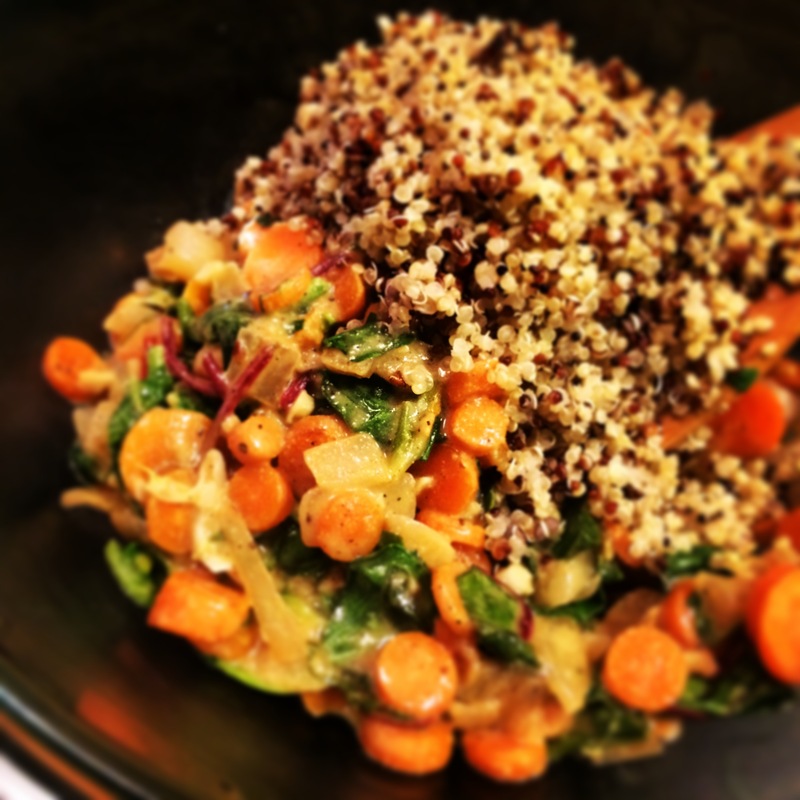 Finally I mixed the veggies and quinoa in a bowl and served it up. First bring broth or water to a boil and add the quinoa. Reduce the heat to a simmer, cover and cook for about 25 minutes. Set aside to rest and fluff with a fork before adding to the veggies. 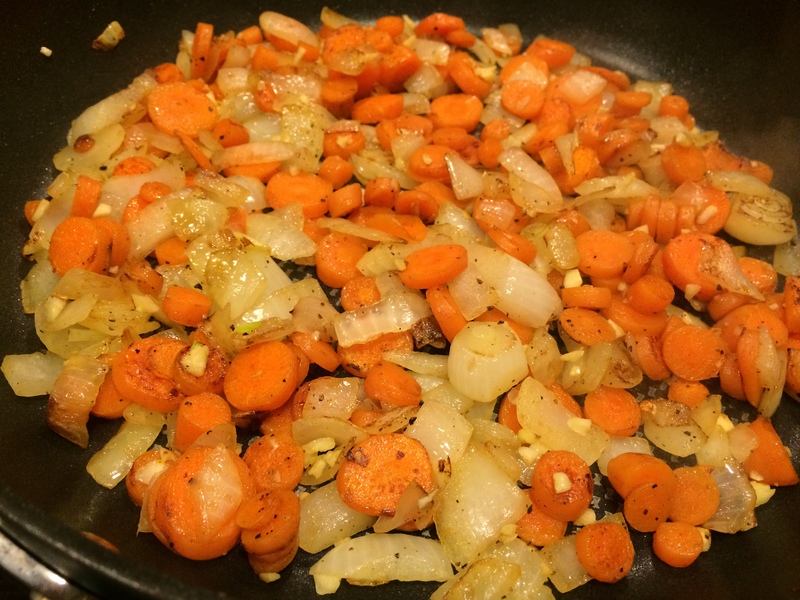 Saute the carrots and onions, salt and pepper over medium high heat until soft and slightly browned. Add the garlic and lightly brown and then add the greens with a splash of wine and stir until wilted. Add another splash of wine, lemon juice, mustard and maple syrup and stir until saucy! Taste for salt and pepper and remove from heat when slightly thickened. 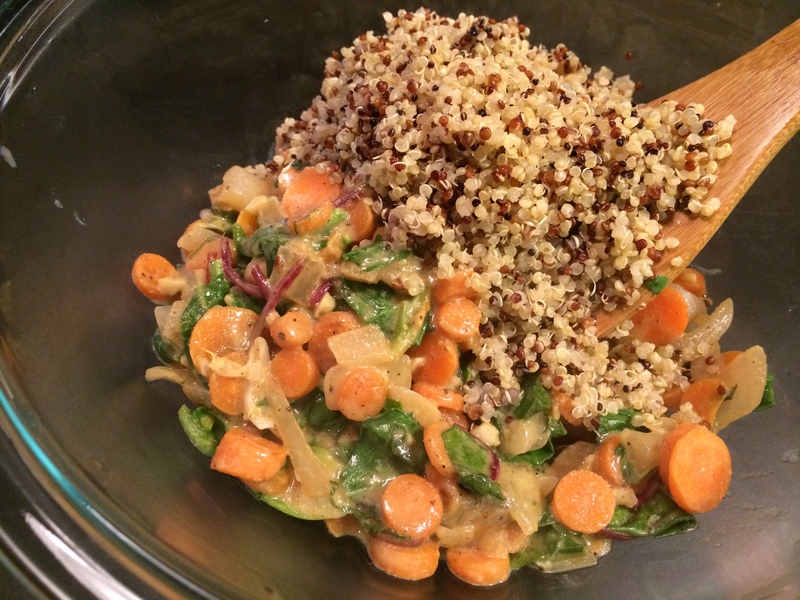 Add the veggies and quinoa together in a bowl and gently mix together. Enjoy! Excellent! Just bought quinoa yesterday, sounds like the perfect way to do it up right!